Spacious townhouse in the heart of Brunswick! We are located next to Union and Grantham St. Coles supermarket and Union Square shopping center is just a short stroll from our place. - tram 58 towards the city is also a stone-throw away, that gets you to the city in 15-20 mins. 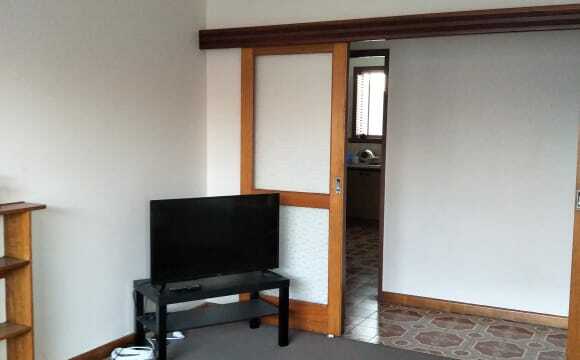 - short 10min walk to Jewel station, RMIT Brunswick, and Sydney Rd if you want to experience all the hustle and bustle! Our house is really spacious and has a small backyard. We have a mini BBQ stand that we hardly use! 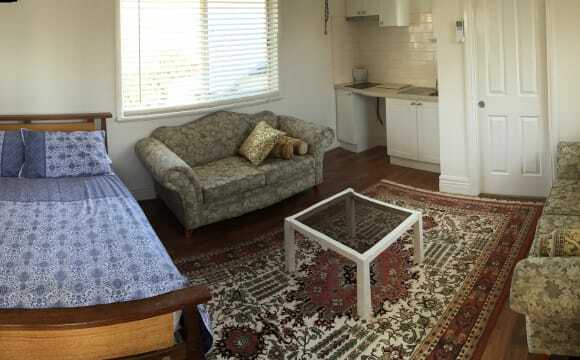 The place is furnished with the common necessities, super fast NBN, and appliances, and a dishwasher. There is a laundry bar just around the corner so it’s quite convenient for us, rather than having a washing machine. It has 2 toilets as well upstairs and downstairs. Your room would easily fit a double or queen size bed and it comes with built in robes. We have a spare mattress, table and office chair if you’d like. Bond is 3 weeks rent. Bills are roughly around $100 per person per month and included in the rent to make it easier! 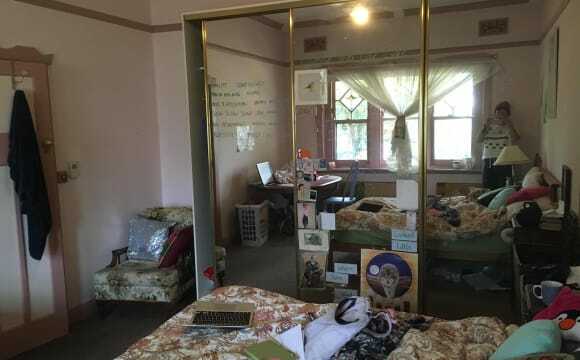 Total monthly rent is $1045 (incl bills and utilities) The max length of stay is around 3-4 months till the end of August as I am re-locating to the UK in around August. The closeness to the tram stop on Melville road is ideal for anyone who works or studies in the CBD. It’s a 15min Tram ride into the centre of Melbourne. It’s a 10min walk to either Sydney Rd or Moonee Ponds Junction where you’ll find plenty of bars, pubs, restaurants etc. One of our ladies is leaving the house to go home for work....The single bedroom has a single bed and mattress in room. A lot of great sunlight in this room is being advertised in this safe and quiet neighbourhood. On offer is to live in a beautiful, very clean double storey period home, conveniently located, minutes walk to public transport, shopping centre including Coles, minutes drive to Puckle St and Sydney Rd shopping. Only 20min Tram ride to city centre. 15 minute bike ride to Melbourne Uni. 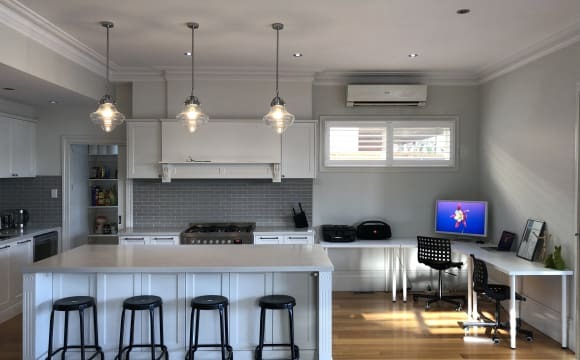 Spacious, well-lit common areas with polished floorboards including 2 large dinning/lounge rooms with TVs, fully furnished house, laundry facilities include washing machine, wall mounted dryer. Kitchen includes dishwasher, fridge (plus additional fridge in the house), microwave and all kitchen utensils. Ducted heating, evaporative cooling upstairs, Gas appliances, WiFi and land line available. Very clean and well maintained front and backyard, corner location opposite parkland with access from two streets. 3 secure, off street car parking positions available. No pets allowed This upstairs carpeted room is fully furnished with a single bed, 2 bedside tables draws, full size bookshelf, desk &amp; lamp, chair as well as double sliding inbuilt wardrobe with full size mirror on doors. This room comes with great natural lighting with parkland views across the road. The landlord is looking for an honest, responsible, clean, mature minded female who will be respectful of the property and each others possessions and privacy, and pays on time. 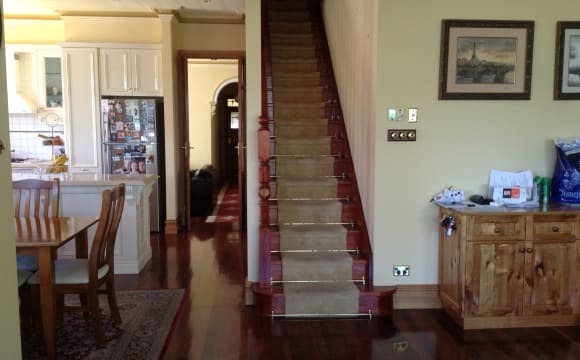 The house is a very large Victorian style property, with 5 bedrooms and free off street parking. The exterior and gardens are very well maintained and the house does not look tired or unkept. The inside has been freshly renovated to modern standards. We have fitted high quality modern appliances to the kitchen and laundry areas and Alexa home automation for lighting and aircon etc. The house also features central air conditioning, underfloor heating and fireplaces in all rooms. 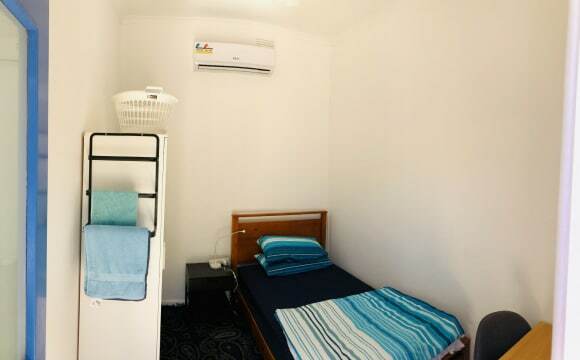 The room available is very decent in size and features a sectional wardrobe with ample storage for all your clothes and is furnished with a brand new, high quality Ikea Queen bed and side tables. We have high speed fibre optic internet and Apple TV in the lounge. We have a great, large outdoor area at the rear of the property with seating for entertainment etc. 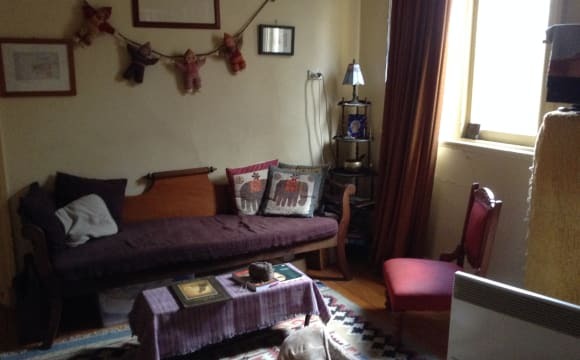 It is a 3 BHK house located in Brunswick West with easy access to Trams. The best part is there is no bond and you will have your own room. 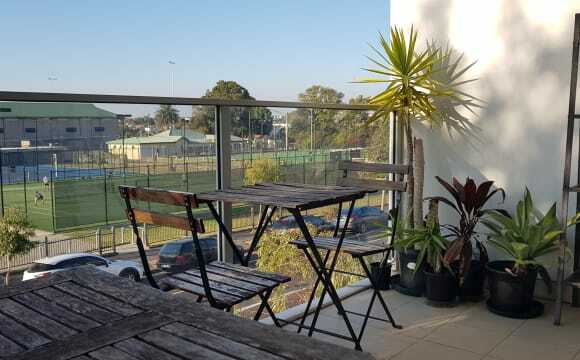 We have a sweet 3 bedroom, 2 bathroom, 2 car space + ample street parking, ground floor apartment in the heart of Brunswick West with everything at our doorstep! We are only 50m from a bus stop (503) which gets you to either Essendon or Anstey train station or 500m from the 58 tram stop. 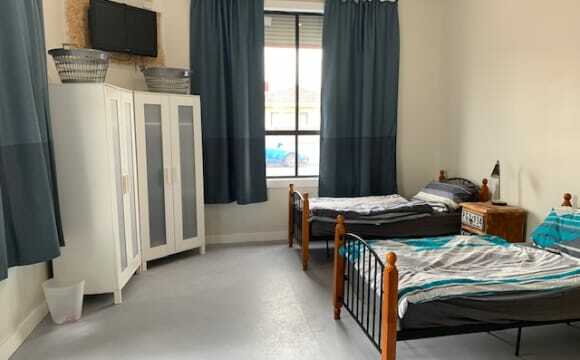 The room available can either be rented furnished or unfurnished (completely up to you) and has its own entry door that leads into the front yard. We are looking for someone who is clean, reliable, respectable and has all the foundations that make up a good housemate. The room will be available from the 29th July* (negotiable) but no later than 1st August to move in. Rental includes - internet (incl Fetch, Netflix, Stan), electricity and water. Drop us a message with a little bit about yourself and we will be in touch! Our housemate James is leaving :( and we are looking for a replacement. 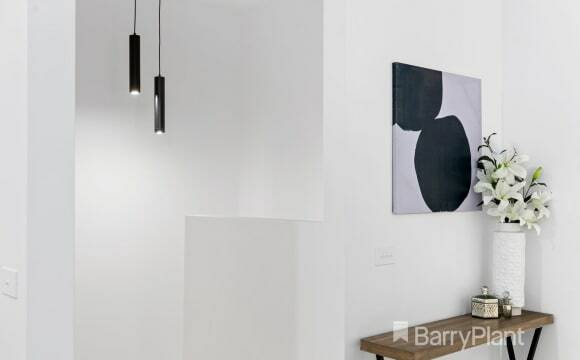 Brand new modern house on the border of Moonee Ponds/Brunswick West. Feels like a place you can call home. Close to tram and train links to the city. Also within 5 min drive to gyms, supermarket, bars, restaurants and parks. Air conditioning/heating in all bedrooms, wifi, ceiling fans, fully equipped kitchen, backyard BBQ area, off street parking, garage, lots of storage, really light and airy feel. The room up for grabs is massive! It measures 3.7x4.5 and currently has a queen bed, desk, cupboard, bookshelves and heaps of ikea cubes with room for more is so desired. It’s about a 20-25 minute walk to Moonee Ponds station and a 10 minute walk either way to the 58 or 59 tram. Plenty of great places to walk and easy commute for bike riders with the Moonee Ponds creek trail 2 minutes away. The rent is $1358 per month and a bond of the same will be needed too. The room can be available a bit earlier if needed too. The third bedroom is a spare room too so can be used as a study if desired too. Plus a single garage for storage You must be okay with dogs as obviously there is a rather big dog here. If you have your own dog or are thinking of getting one then that is fine too, as long as they get along! Fully furnished including beds and drawers. Air conditioning, 5 min walk to bus, 10min walk to trams/trains stops. 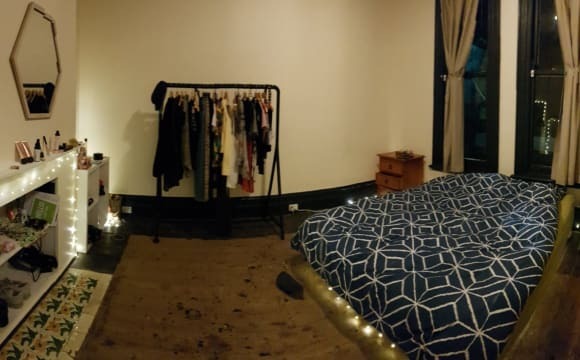 One good sized light filled room is available on the 25th March (it has a bed and a desk) and another is available from the 13th March ( which has built in robes, desk and a bed) in a great sharehouse in Brunswick. The house is located off Albion Street, between Sydney and Melville Roads. Nearest train station and tram is an 8-10 minute walk, along with the Sydney Road shops, cafes and bars. The house is a spacious open plan design with kitchen, dining space and lounge room. The garden has a covered outdoor area with a relaxing hammock, BBQ and veggie garden which is lovely space to eat, entertain or relax in. The house is a relaxing and homely space perfect for summer. We have unlimited wi-fi which is $21.80 each a month, and bills are divided equally which work out to be around $50 per month for gas water and electricity, so a total of around $70 per month on bills. You will be living with me, Nigel, self employed in audio production, enjoys music, swimming, hiking and living with considerate people. Sarah who is studying OT, loves to dance and only home on the weekends at the moment. Another Sarah who is traveling here from Quebec until mid Feb. We share a couple of drinks occasionally or a meal, It's an easy house to live in with a relaxed, homely feel. Send me a message with a little bit about yourself and we can organise a time to meet. Its a small three bedroom town house in a quite location with 2 minute walk to public transport which gives you easy access to the city and surrounded by a number of parks near by. The property is situated in a convenient location, close to all local amenities and on street parking available. The location is amazing! The house is right next to Sydney Rd shops, bars and restaurants. It is a 5 minute walk from Anstey Station and the bike path that goes to the city. The room is absolutely massive! We have fig, olive and nectarine trees and a bunch of herbs and veggies in the garden. We recycle and composting. Tram right outside, 15 min walk to train. Near shops, a park and restaurants/take out places. 30-40 min tram ride to city. Beautiful view of the city. Split system in main room. Includes dish washer in kitchen. Rent does not include bills. Bills split 3 ways, $1000 bond included. 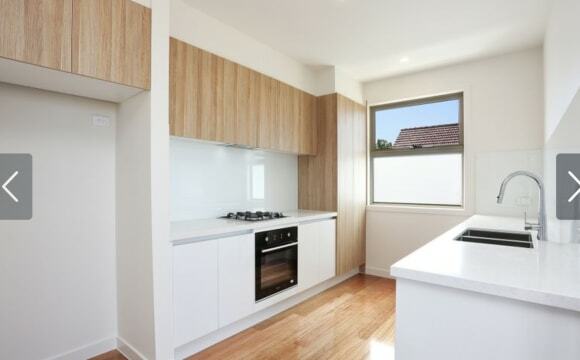 Located down a quiet street with on-street parking, it’s only a short walk to Anstey and Moreland train stations, Moreland Rd and Sydney Rd tram lines, supermarkets, shops, restaurants and nightlife. The room available is a huge three share room. Meaning, it fits three people with each person receiving the following (fully furnished): - Lockable - Single bed - Wardrobe - Bedside table - Desk and chair - Linen - 2 towels - 1 bathmat - Towel rail The room also has: - Tv - Air conditioning/heating - Unlimited wifi You also receive: - Your own cupboard, fridge and freezer space in the kitchen. - Your own locker with key (available April). - Rent includes all bills - Unlimited wifi - Rent includes cleaner once we week. They clean common areas only. The house (shared areas): This share house comprises of five single rooms, two share rooms and a three share room. 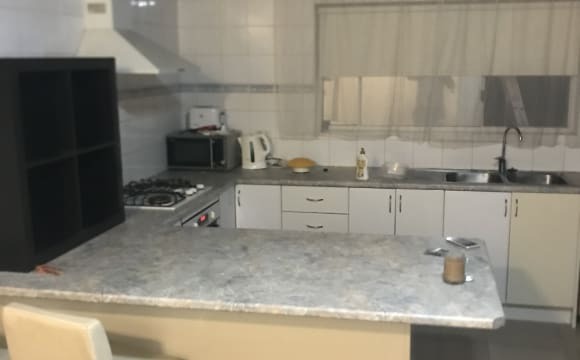 - Open plan, fully furnished, large kitchen with dining - Lounge room with air conditioning (joins onto kitchen) - Laundry - Courtyard with BBQ - Two showers - Three toilets Public transport: Sydney Rd Tram 19, stop 26. Coburg - Flinders St Anstey station - Upfield/Craigieburn line Bond is $200. Rent is $736 per calendar month (works out cheaper than advertised at $169.84 per week). **Please note there are only one bed in this room left. One single room available for female, from 8th April. 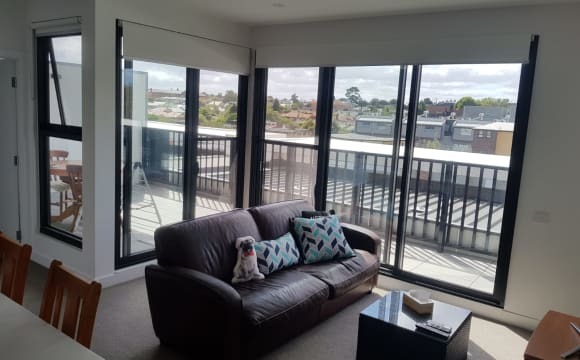 Located down a quiet street with on-street parking, it’s only a short walk to Anstey and Moreland train stations, Moreland Rd and Sydney Rd tram lines, supermarkets, shops, restaurants and nightlife. 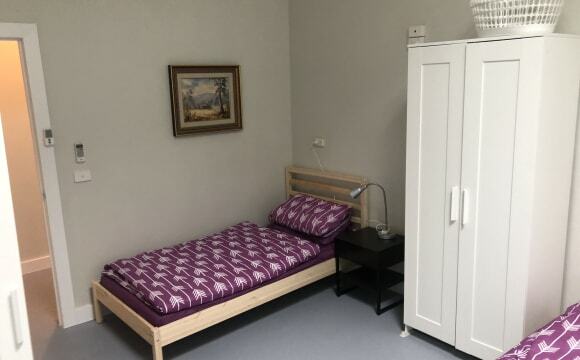 The room (fully furnished): - Lockable - Single bed - Linen - 2 towels - 1 bathmat - Towel rail - Wardrobe - Bedside table - TV - Desk and chair - Air conditioner/heater - Unlimited internet - Cleaner once a week (common areas) and once a month for bedrooms. You also receive: - Your own cupboard, fridge and freezer space in the kitchen. - Your own locker with key The house (shared areas): This share house comprises of five single rooms, two share rooms and a three share room. Rent includes all bills. 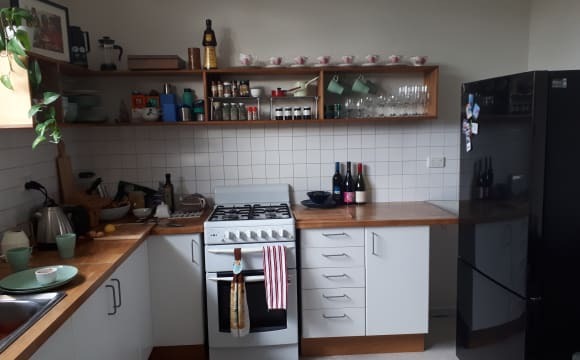 - Open plan, fully furnished, large kitchen with dining - Lounge room with air conditioning (joins onto kitchen) - Laundry - Courtyard with BBQ - Two showers - Three toilets Public transport: Sydney Rd Tram 19, stop 26. Coburg - Flinders St Anstey train station - Upfield/Craigieburn line Bond is $200 Rent is $996 paid per calendar month. (Which makes it $229.84 per week). 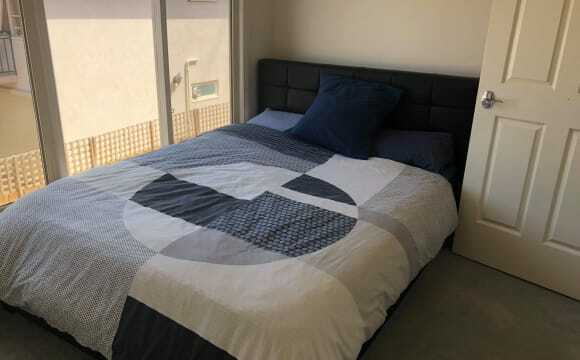 Located down a quiet street with on-street parking, this share house is only a short walk to Anstey and Moreland train stations, Moreland Rd and Sydney Rd tram lines, supermarkets, shops, restaurants and nightlife. 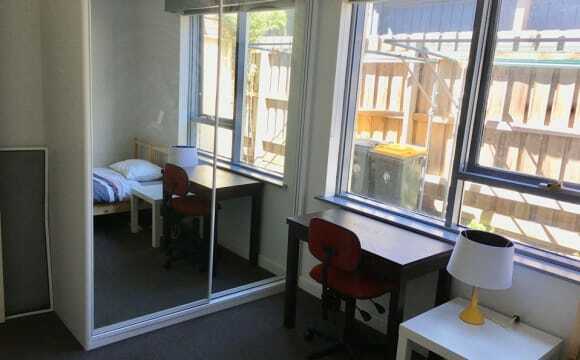 We have a large twin room available for one male. This room already occupies another male from the UK in his 20’s. This room is huge as is was originally designed to accommodate for wheelchair access. It is a two share room with a huge en-suite. It’s the only room in the house with an en-suite. Rent includes all bills, unlimited internet and a cleaner once a week for common areas. The room (fully furnished): - Lockable - Single bed - Linen - 2 towels - 1 bathmat - Towel rail - Wardrobe - Bedside table - TV - Desk and chair - Air conditioner/heater - Unlimited internet You also receive: - Your own cupboard, fridge and freezer space in the kitchen. - Your own locker with key (available soon). 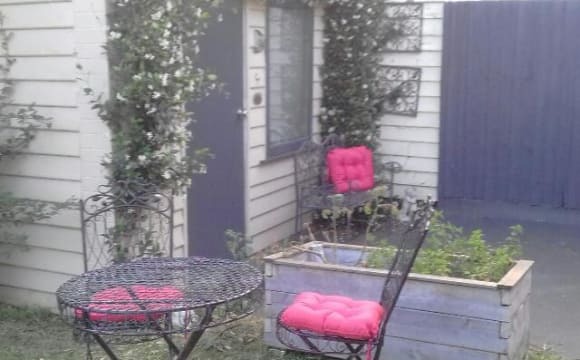 The house (shared areas): - Open plan, fully furnished, large kitchen with dining - Lounge room with air conditioning (joins onto kitchen) - Laundry - Courtyard with BBQ - Two showers - Three toilets Tram lines: Sydney Rd Tram 19, stop 26. (Coburg - Flinders St) Train stations (Upfield/Craigieburn line): Anstey station Moreland station Bond is $200. Rent is $866 paid each calendar month. (Works out cheaper than advertised at $199.84 per week). It's got walls and a roof.